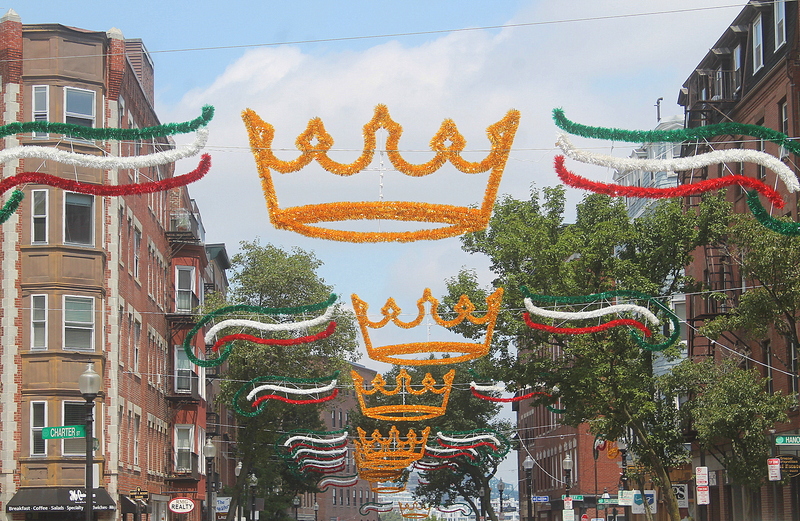 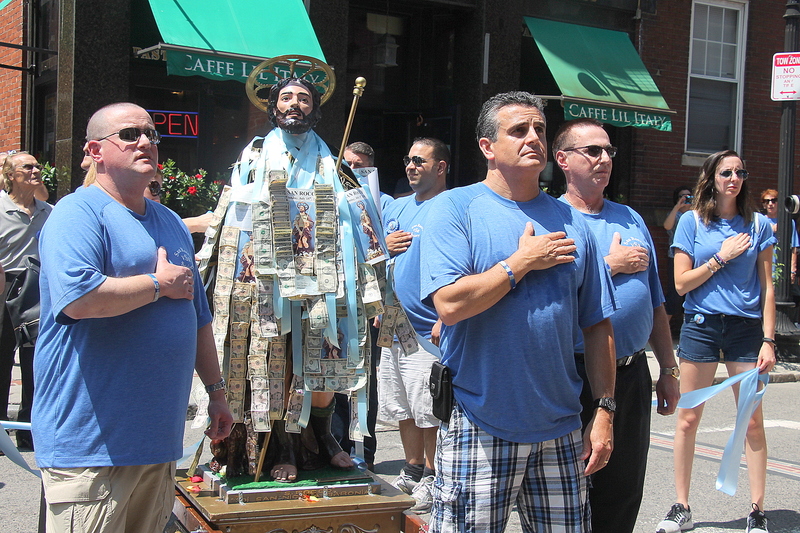 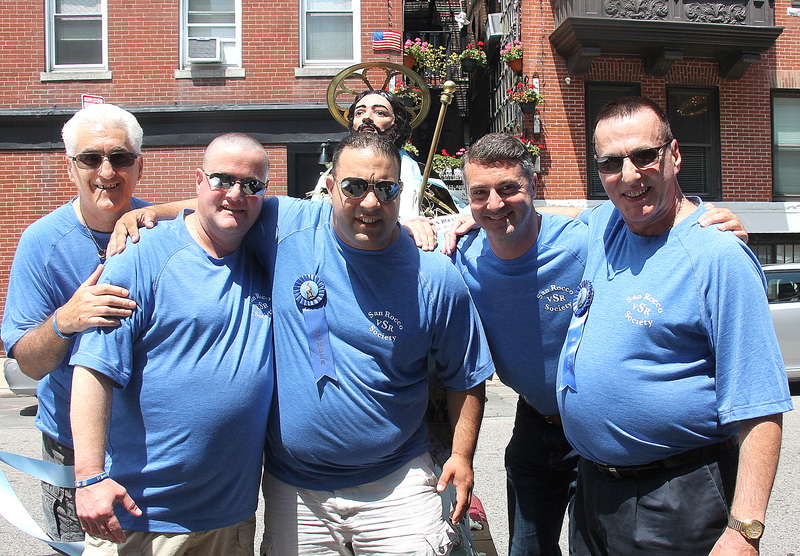 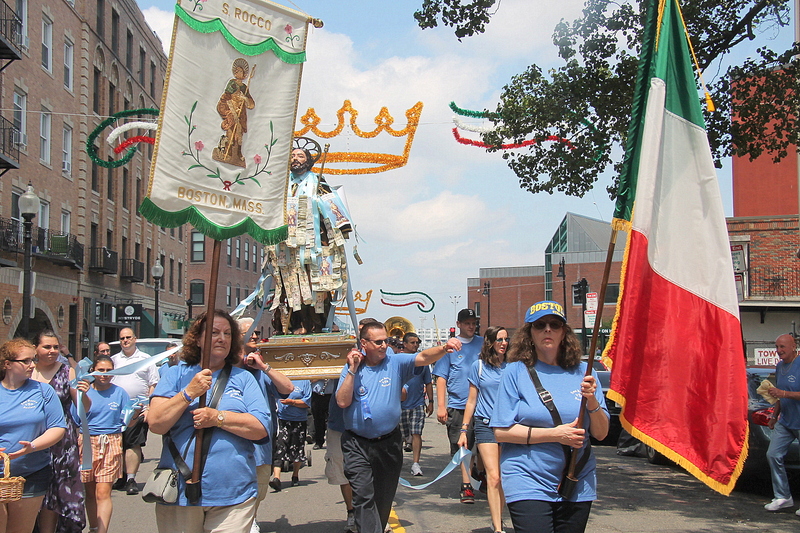 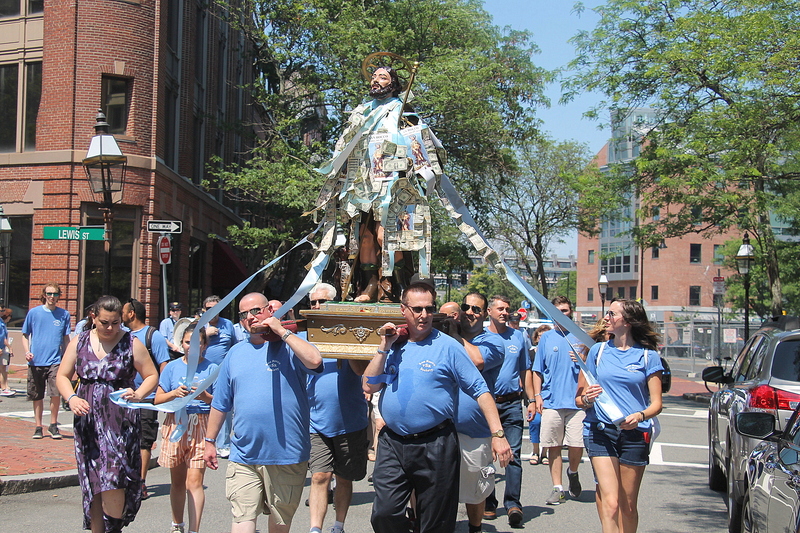 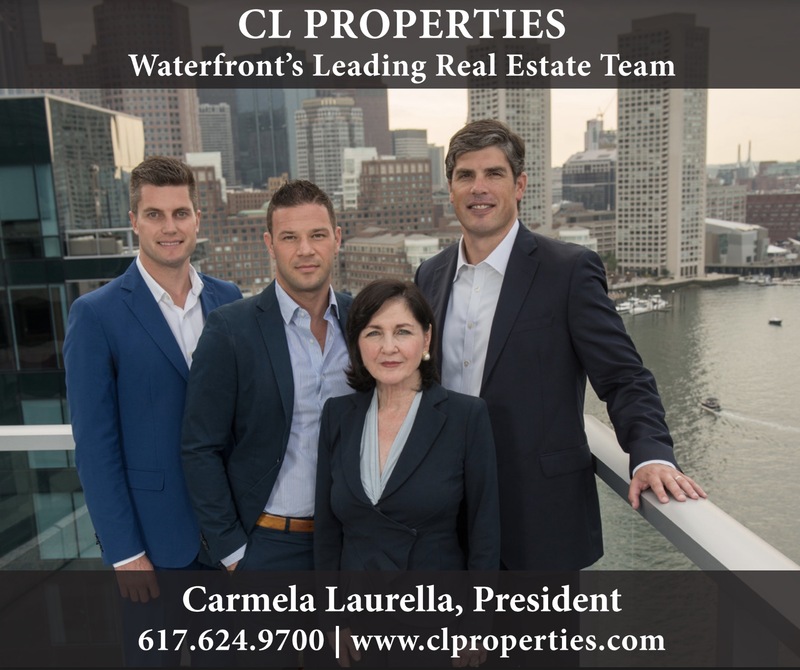 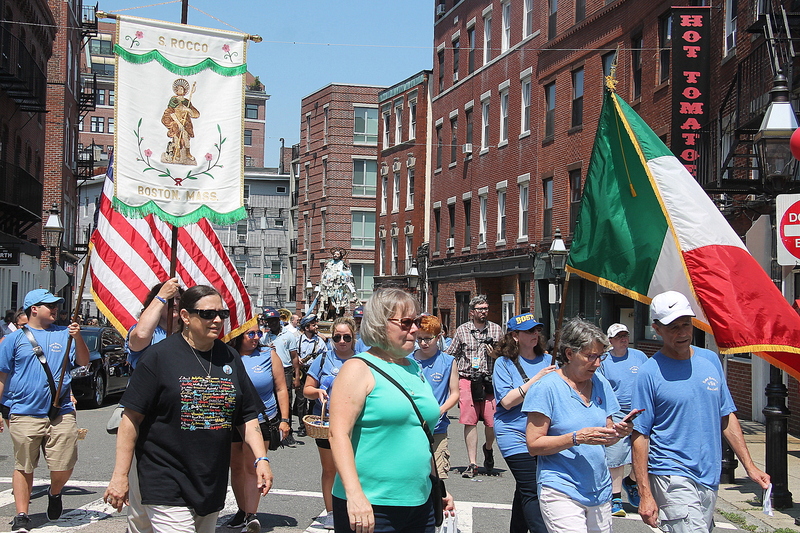 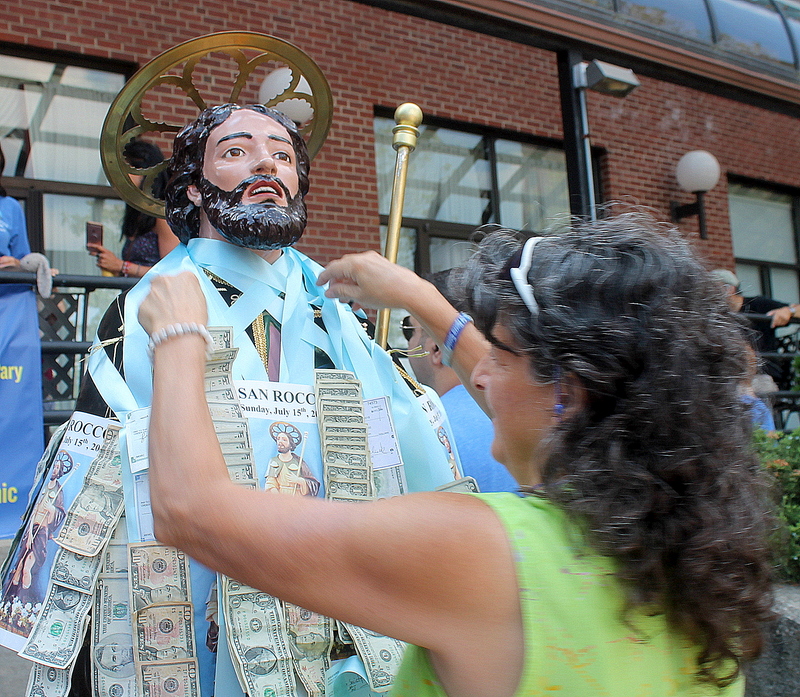 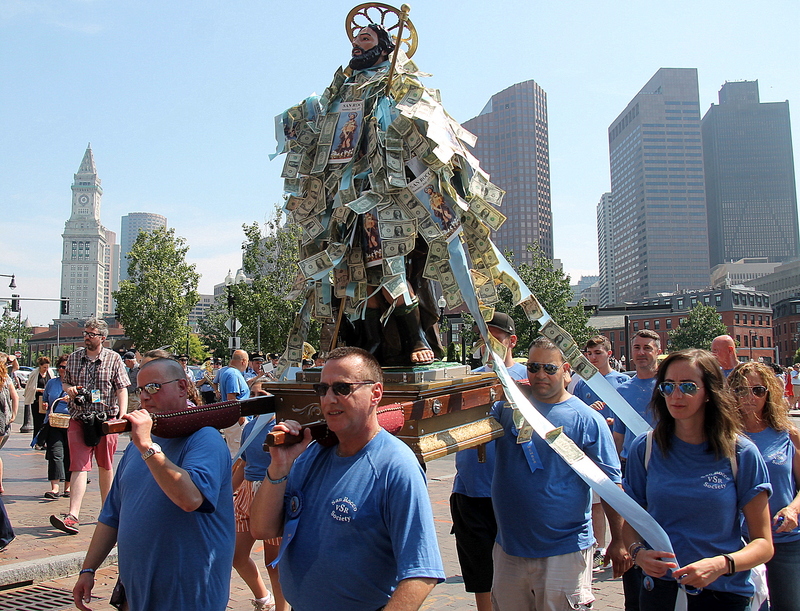 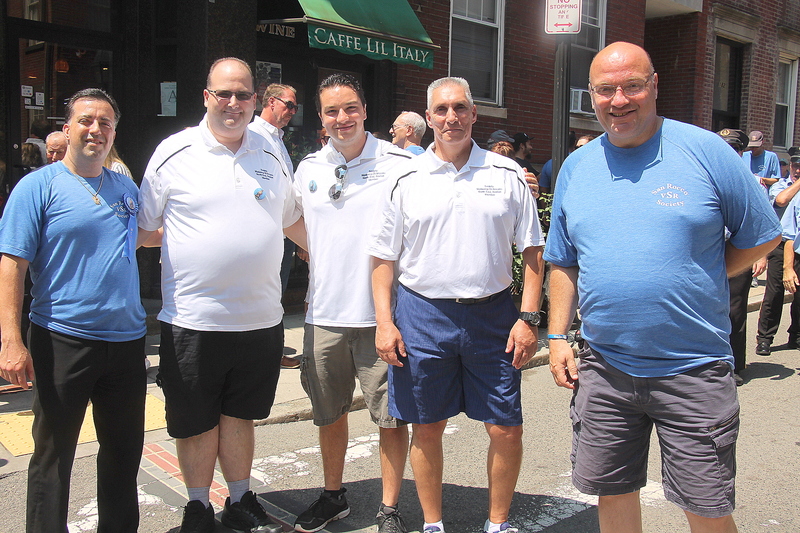 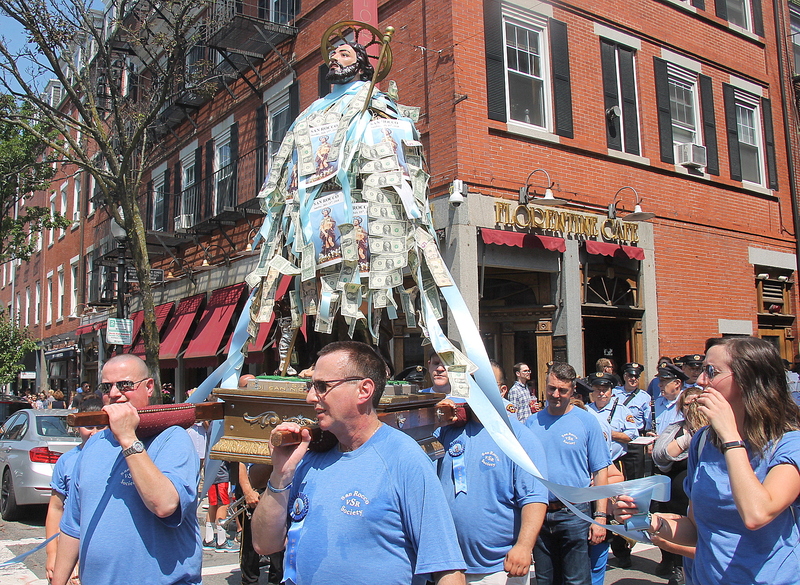 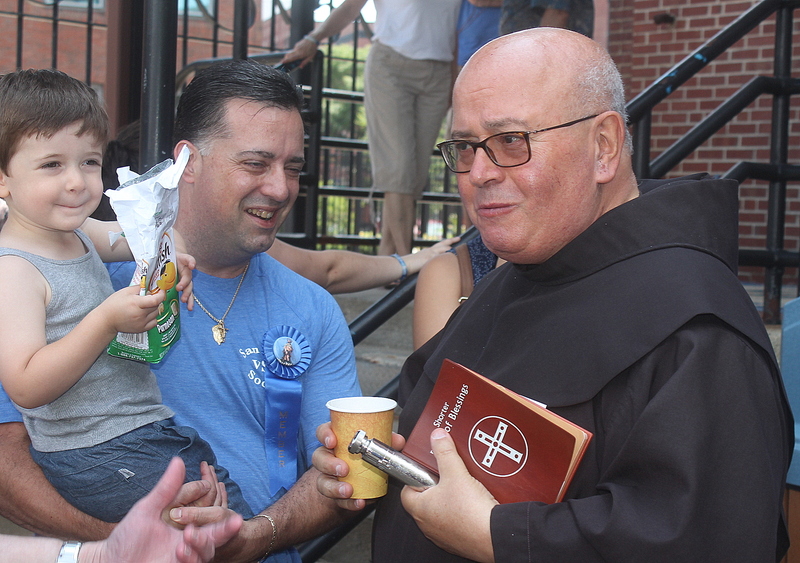 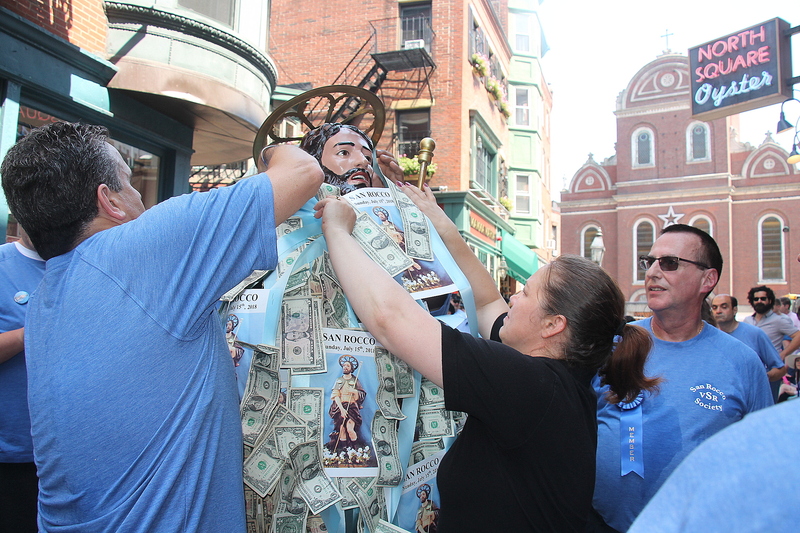 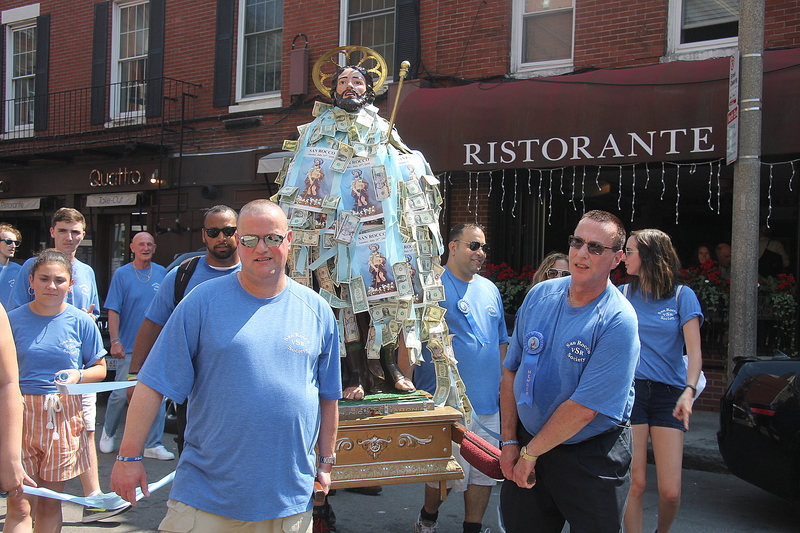 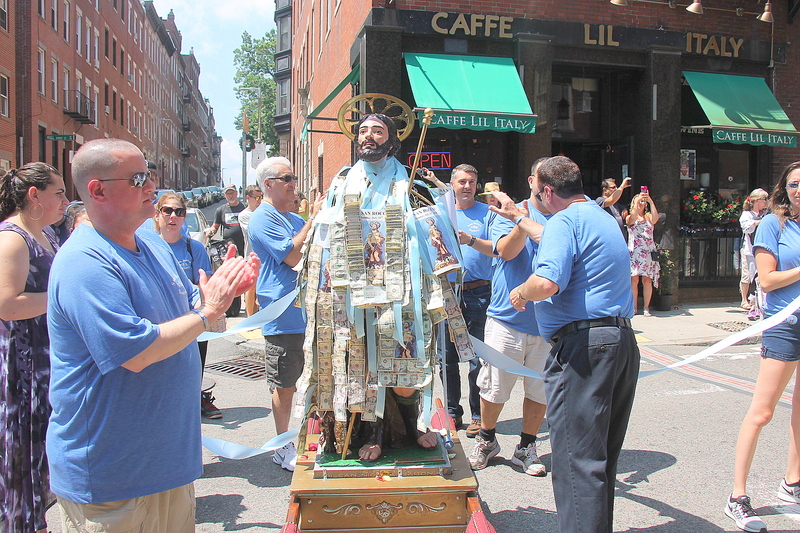 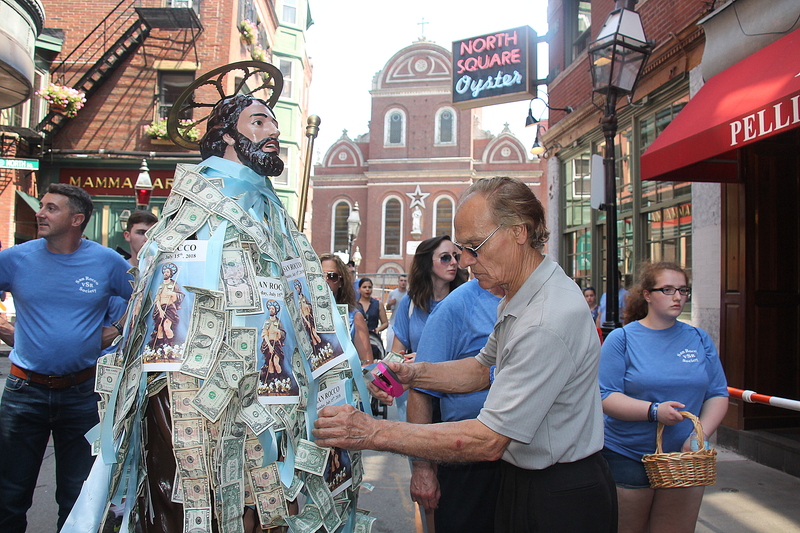 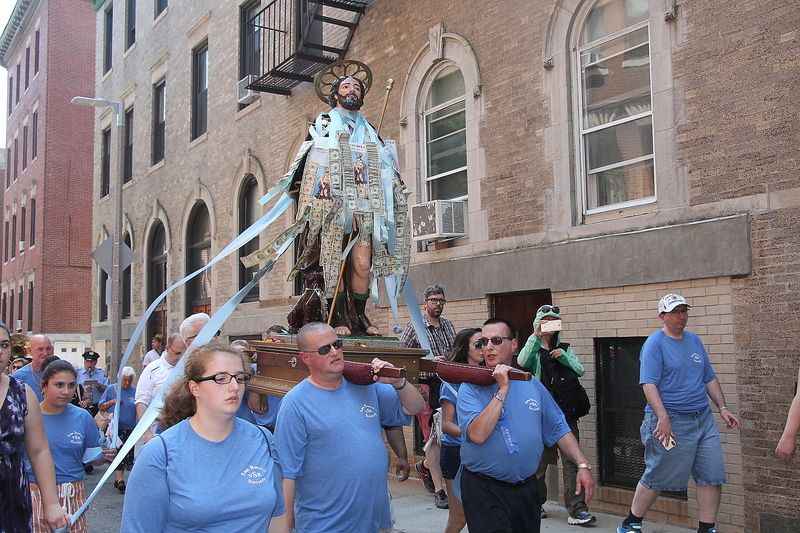 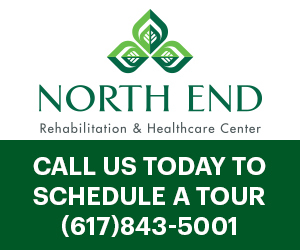 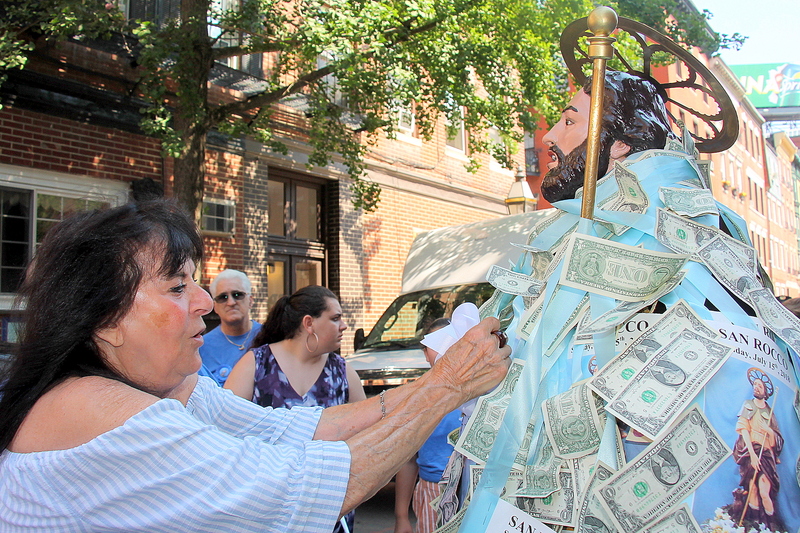 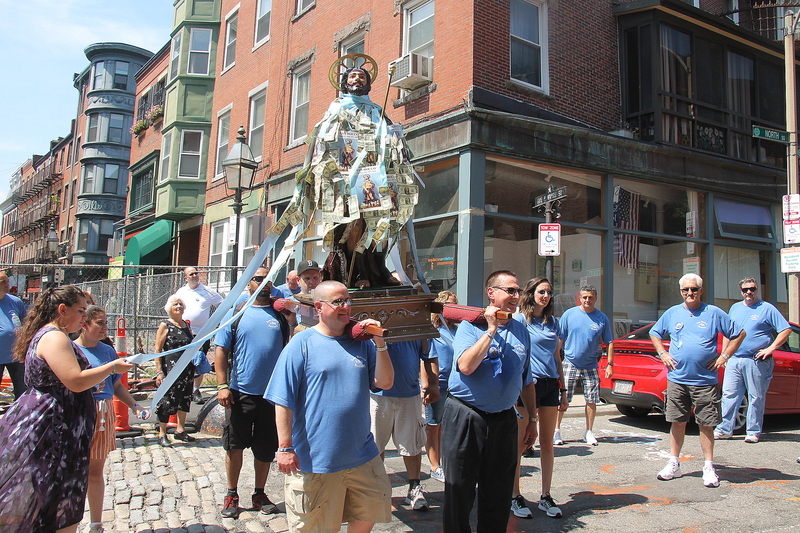 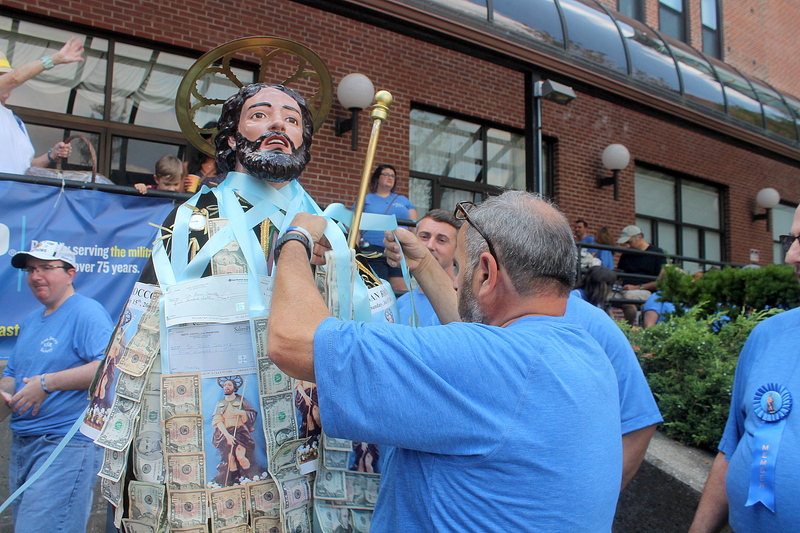 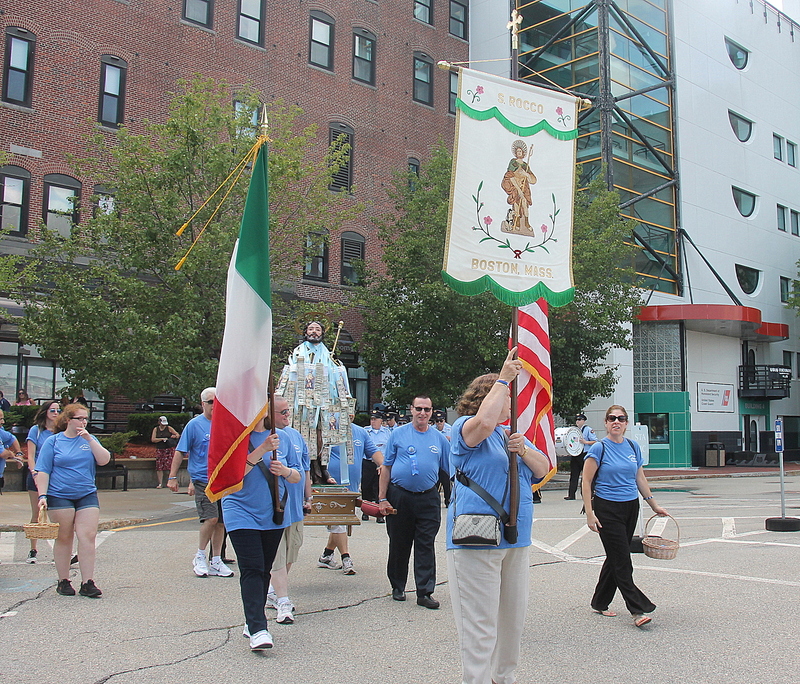 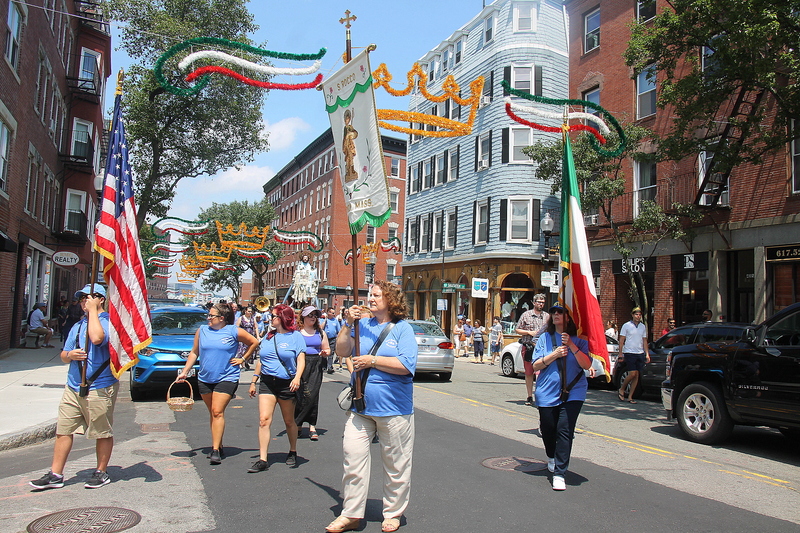 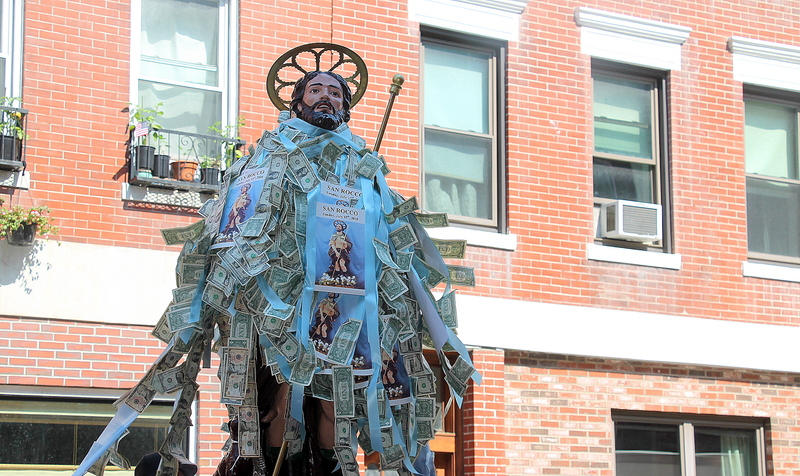 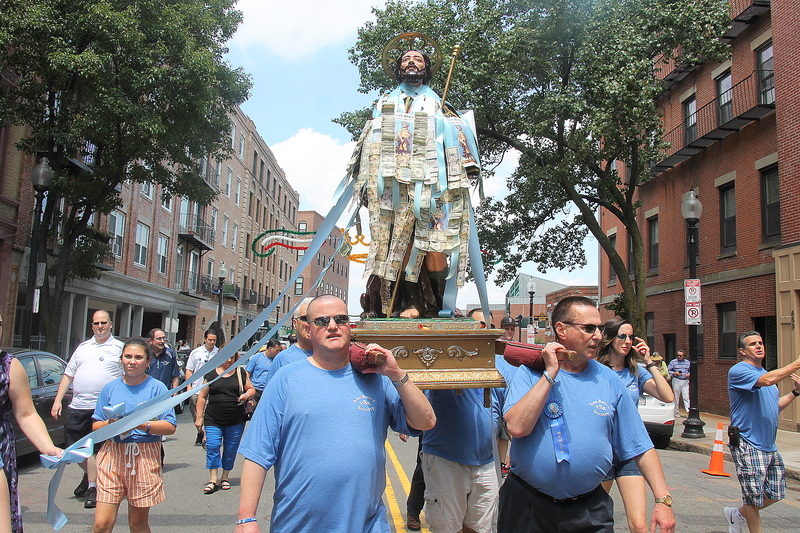 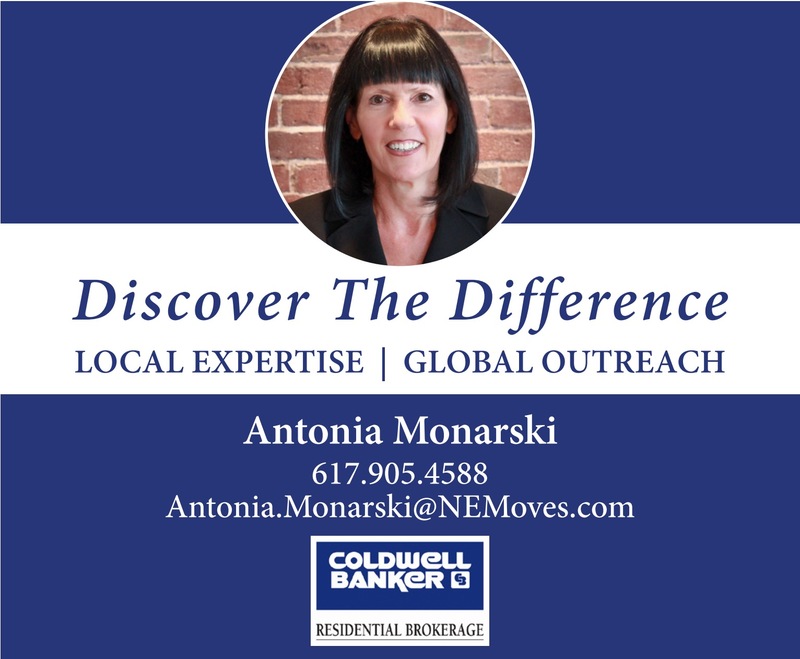 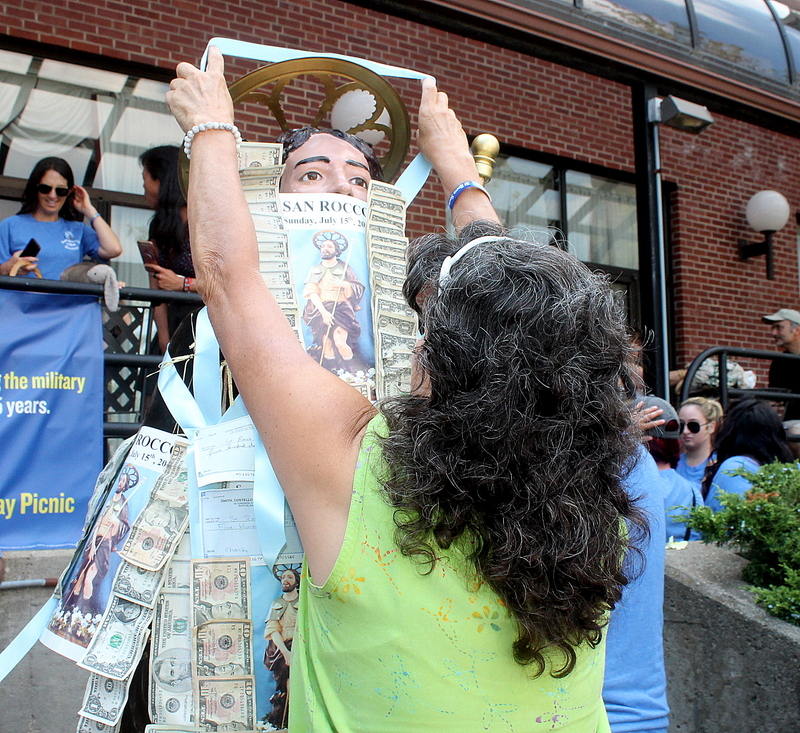 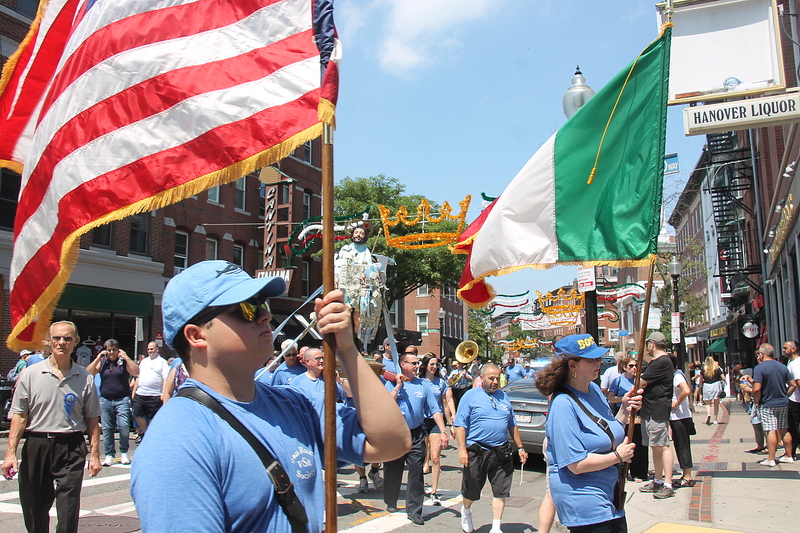 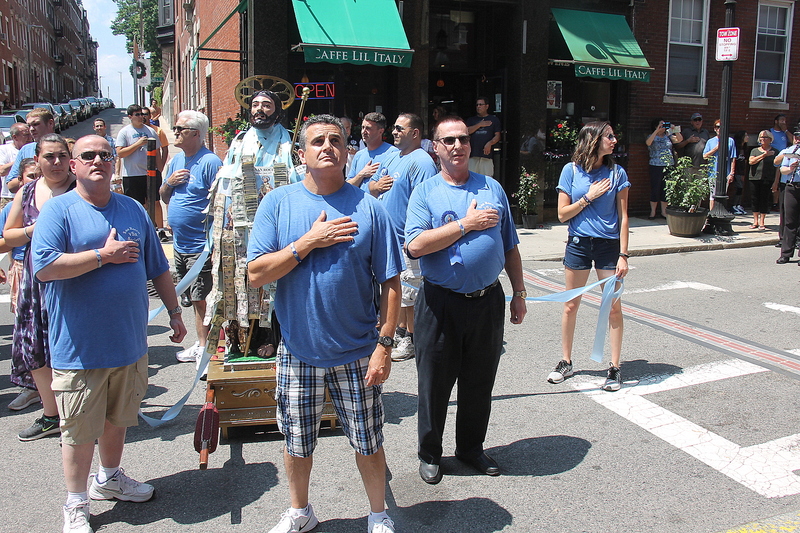 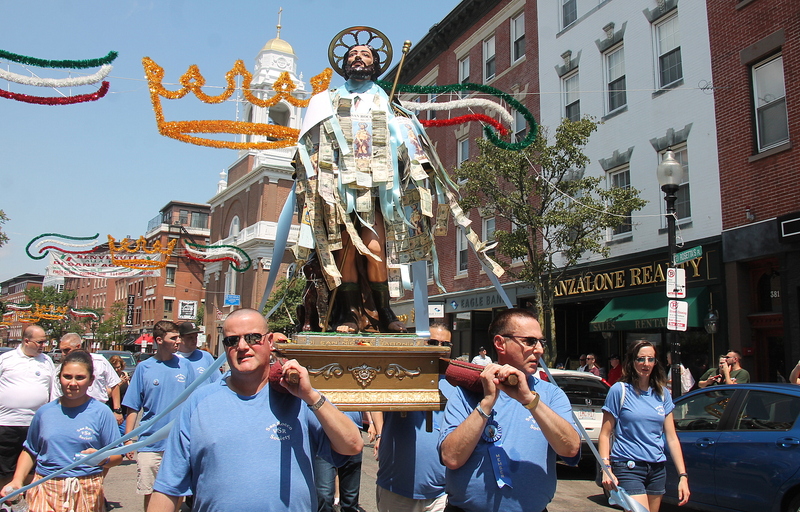 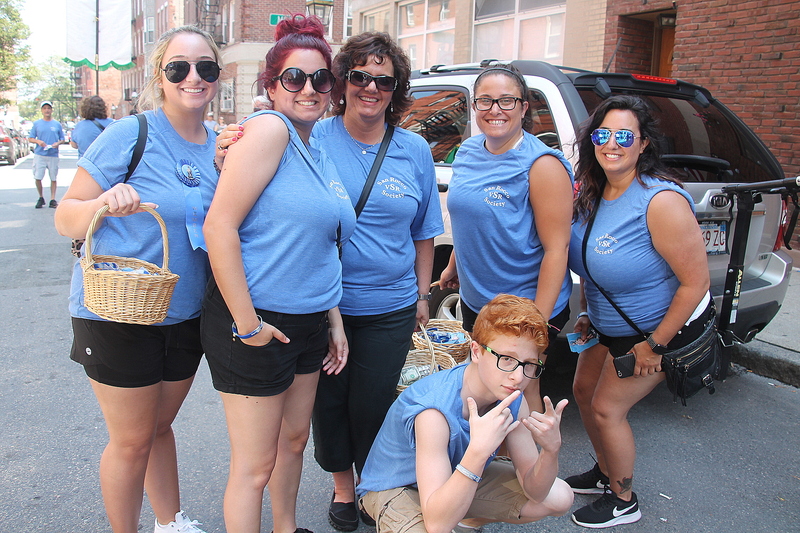 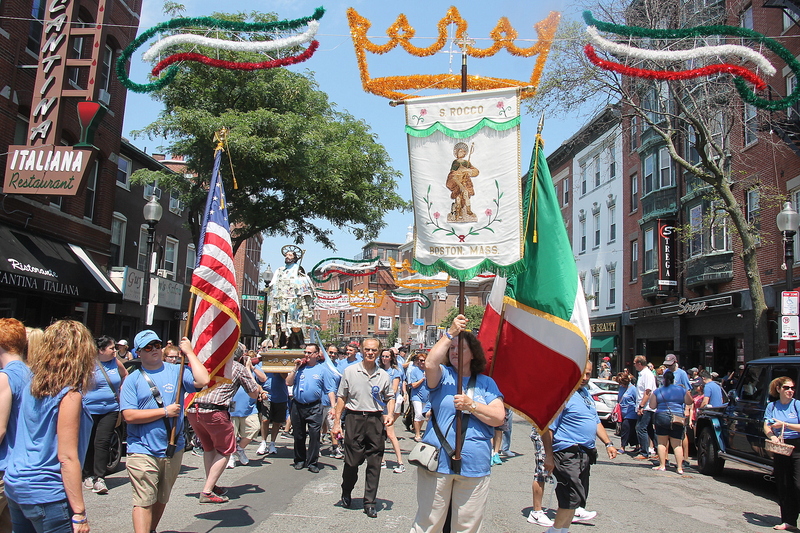 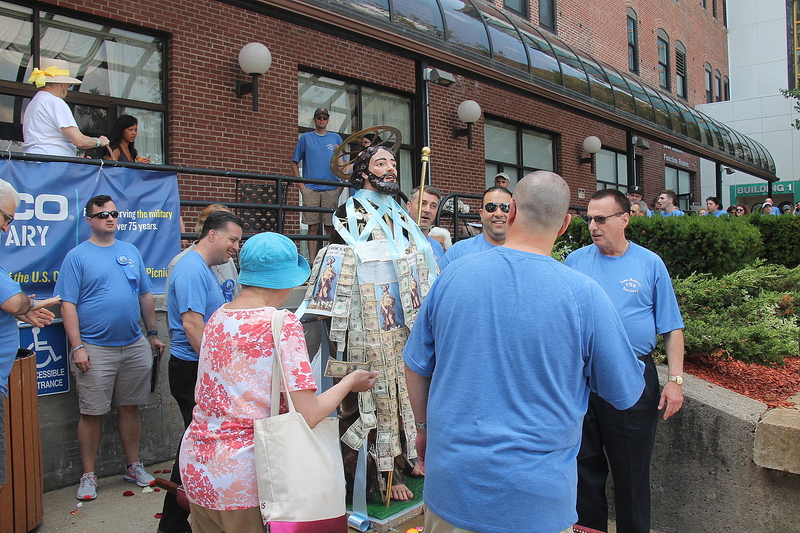 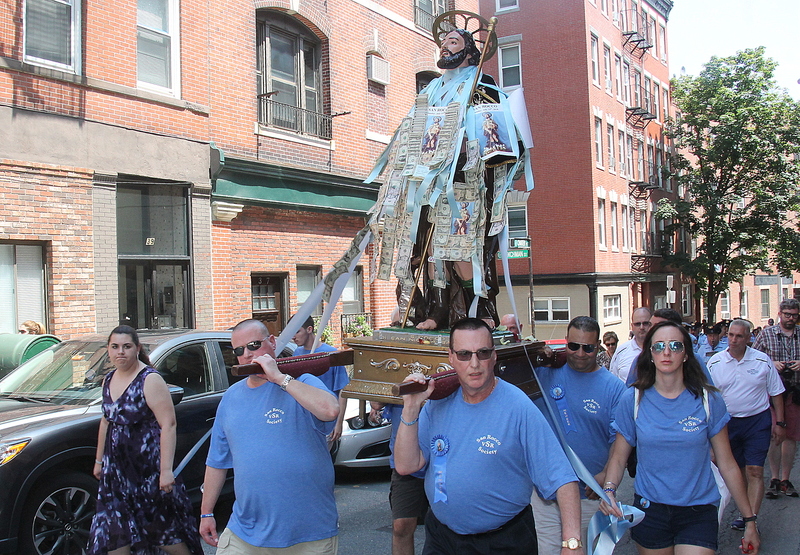 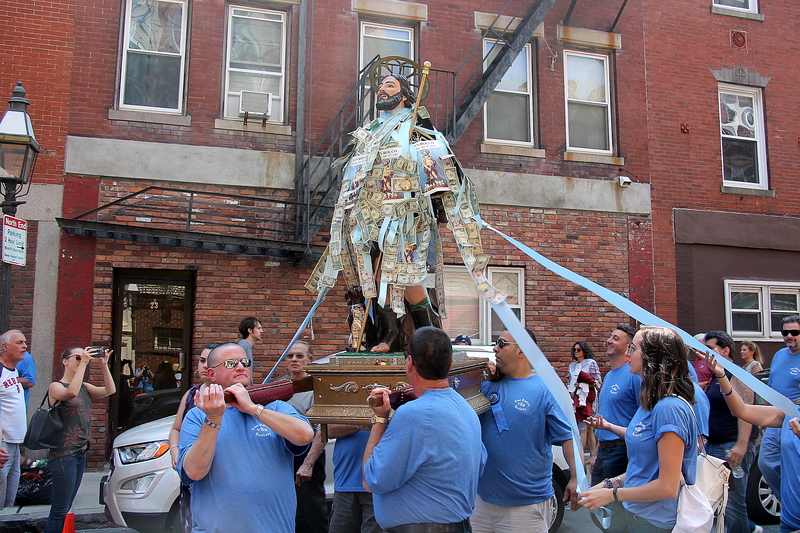 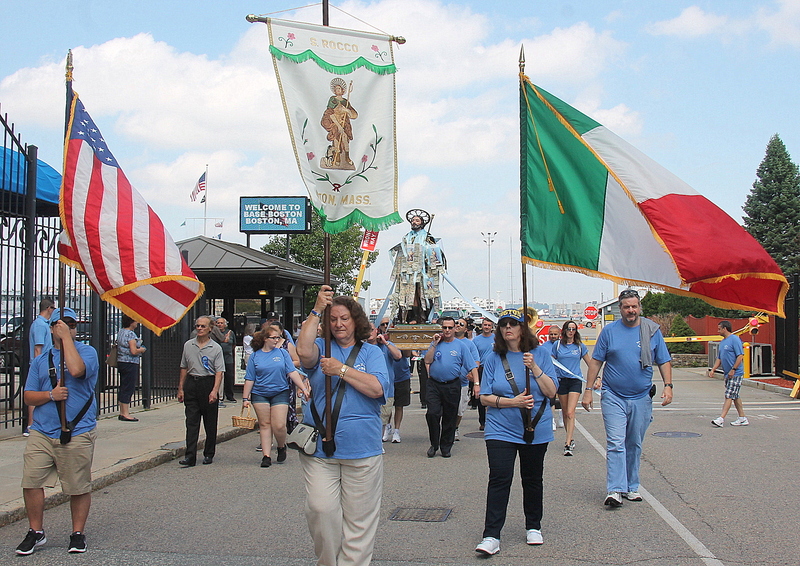 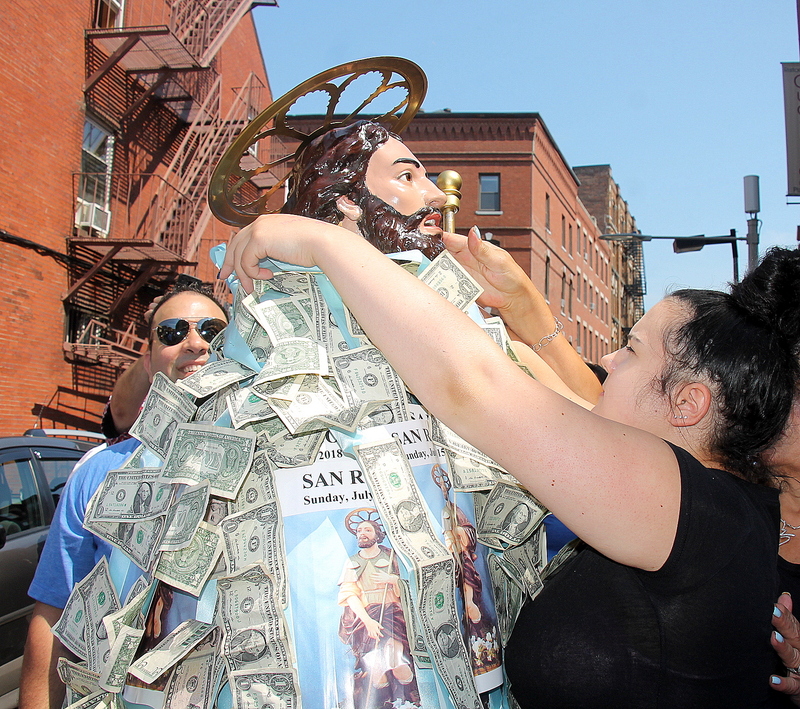 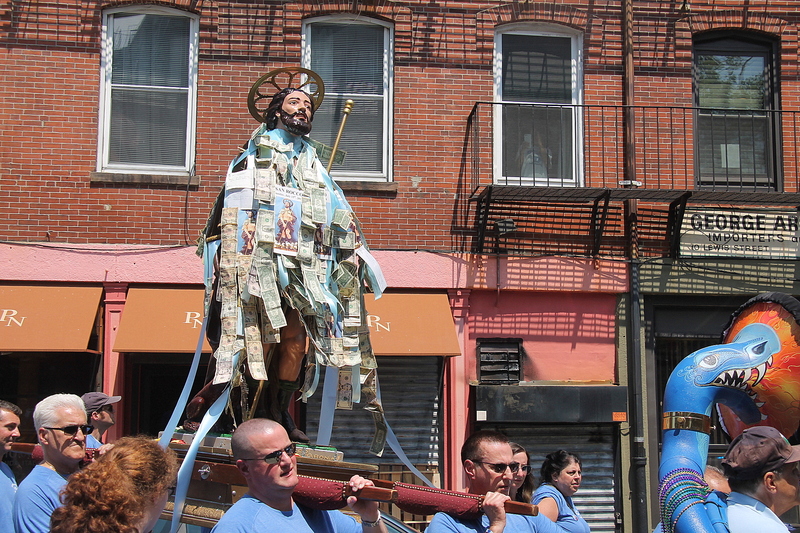 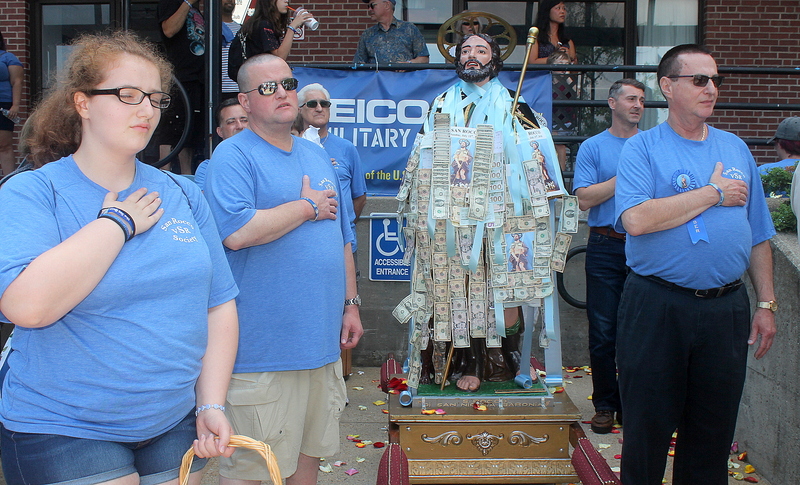 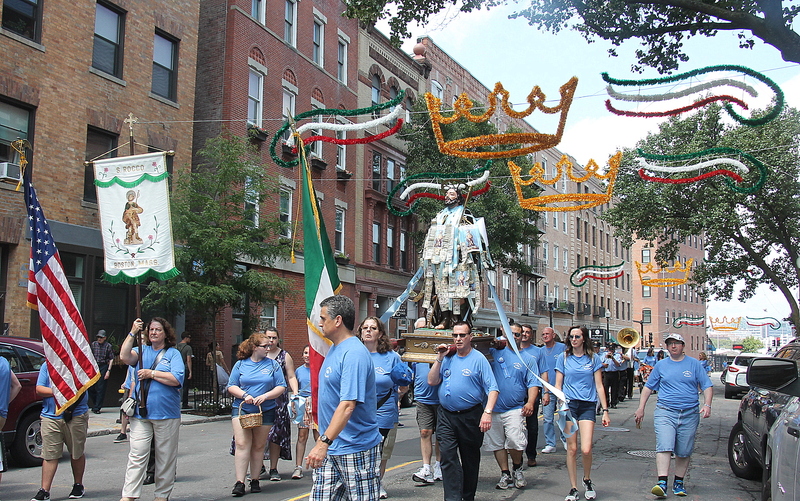 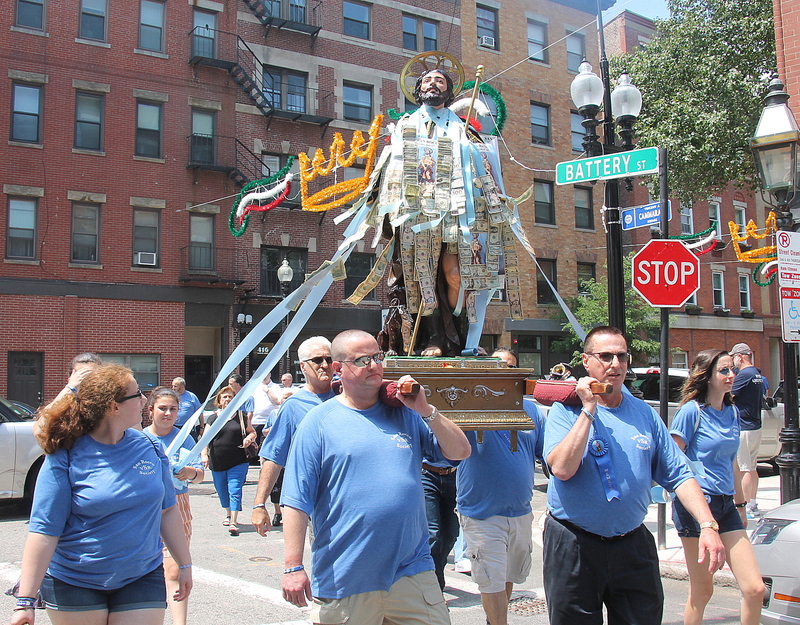 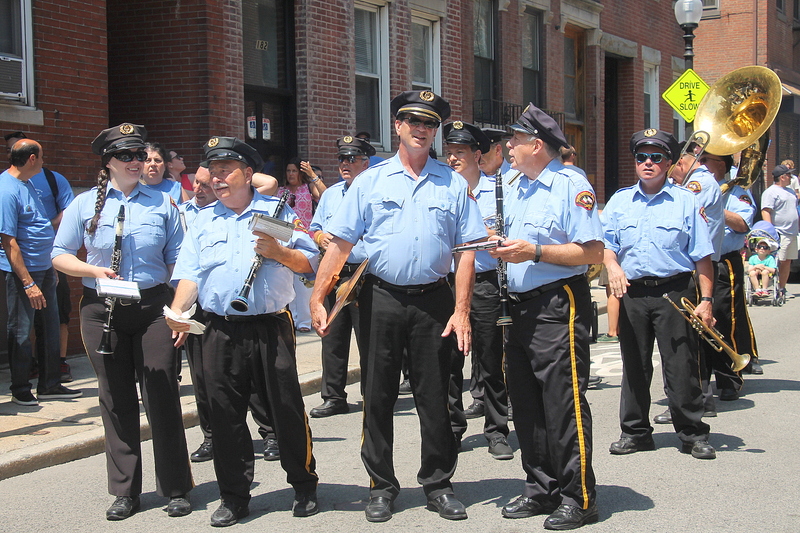 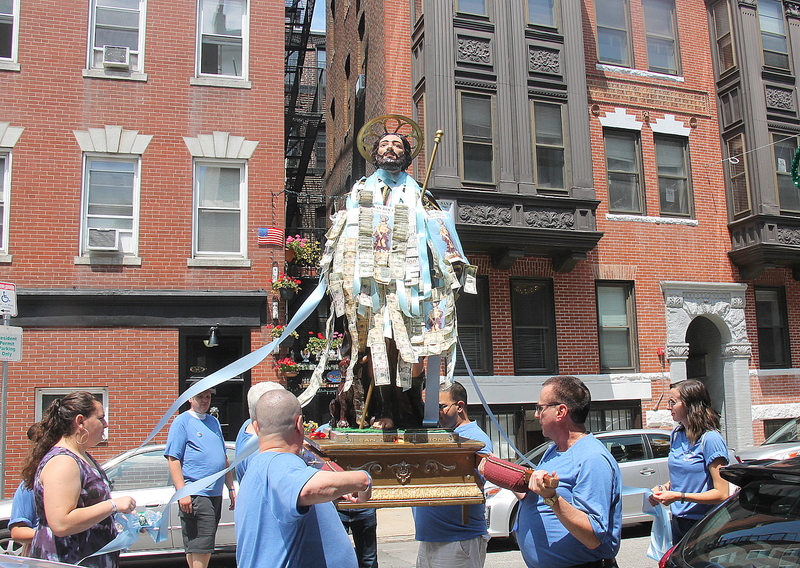 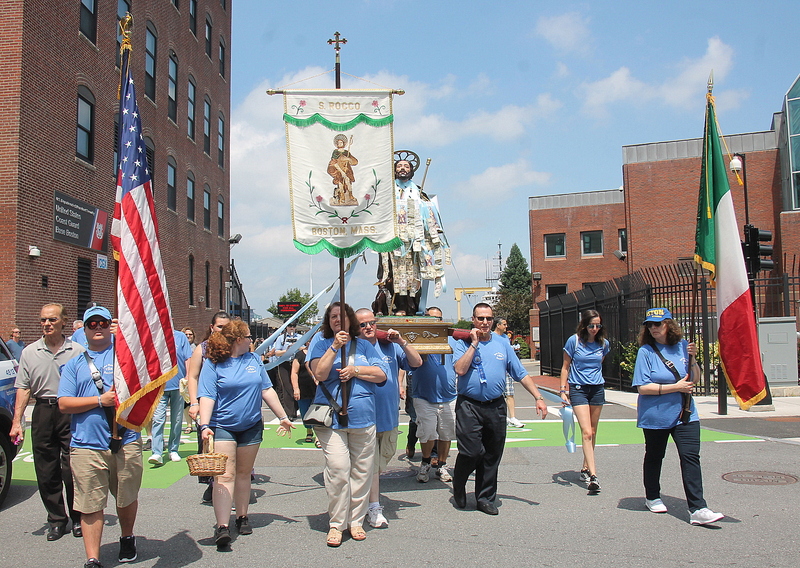 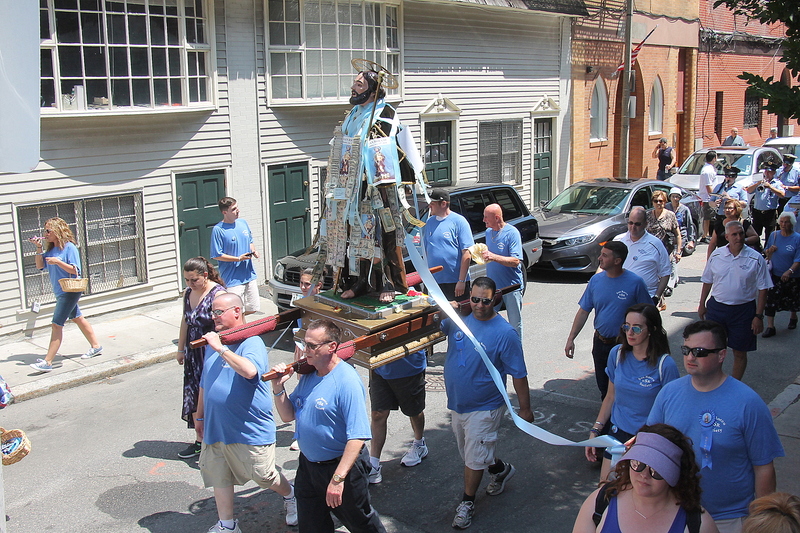 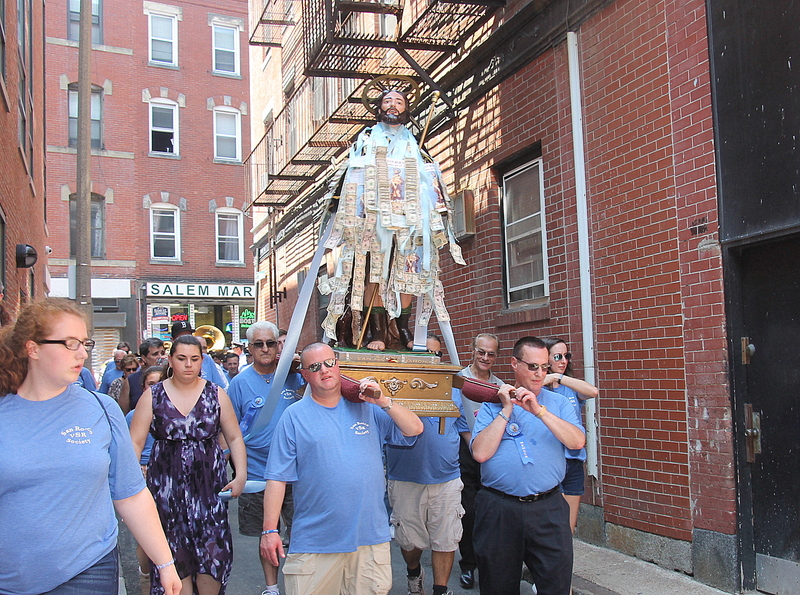 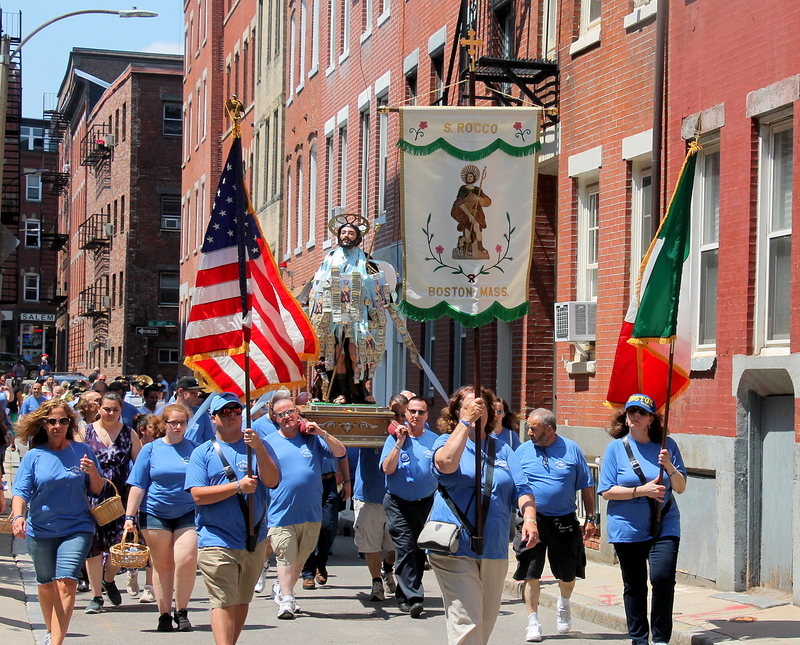 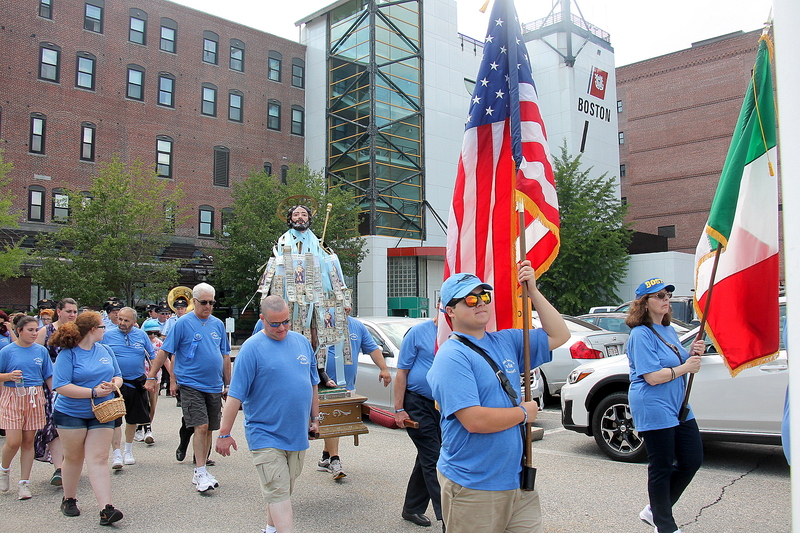 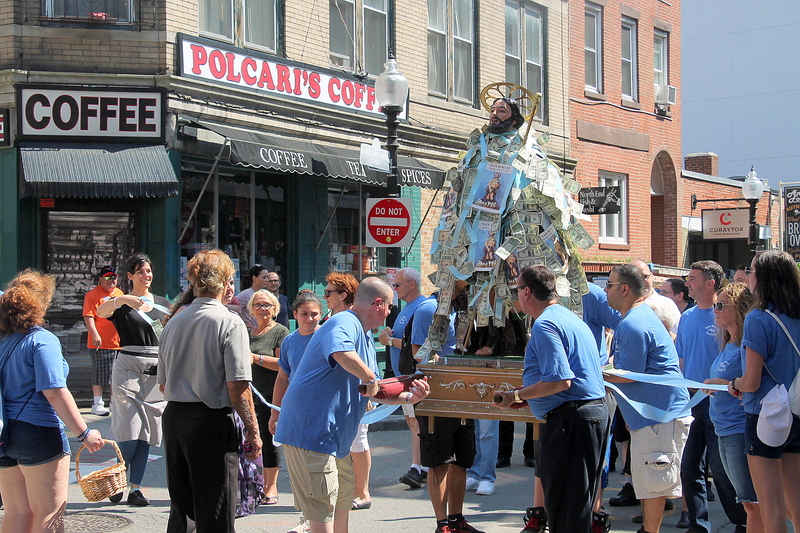 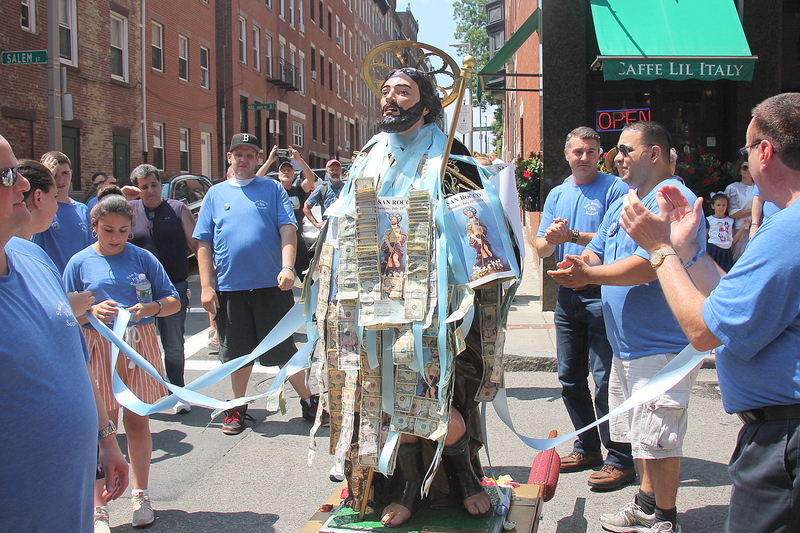 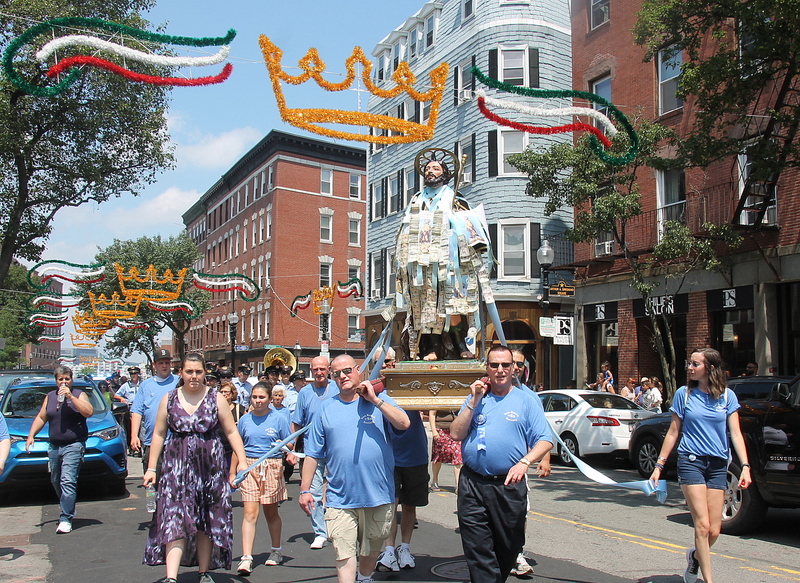 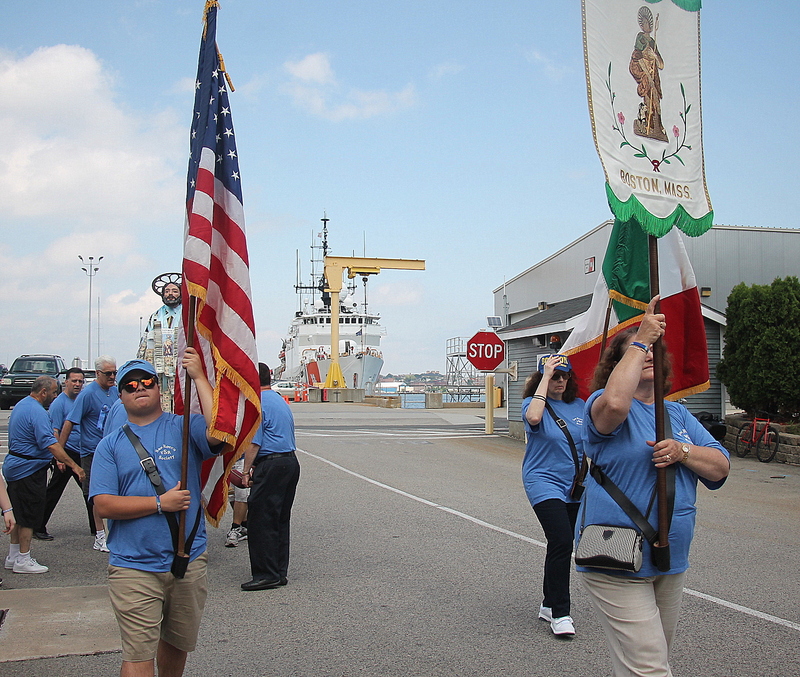 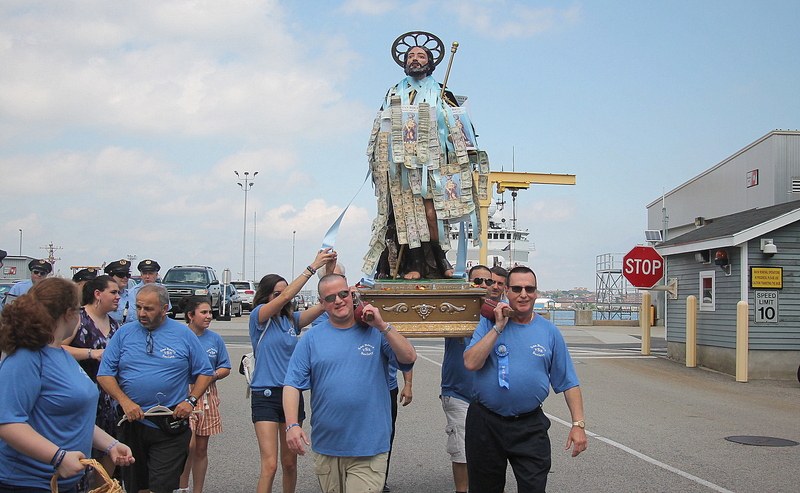 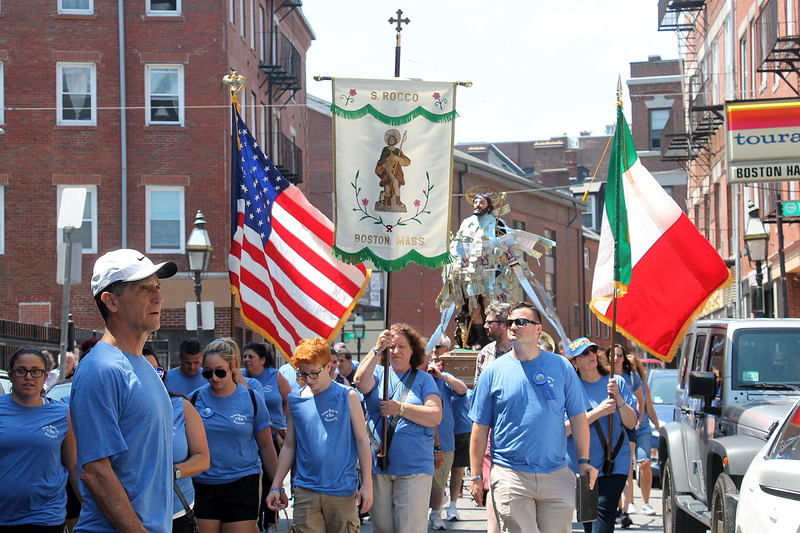 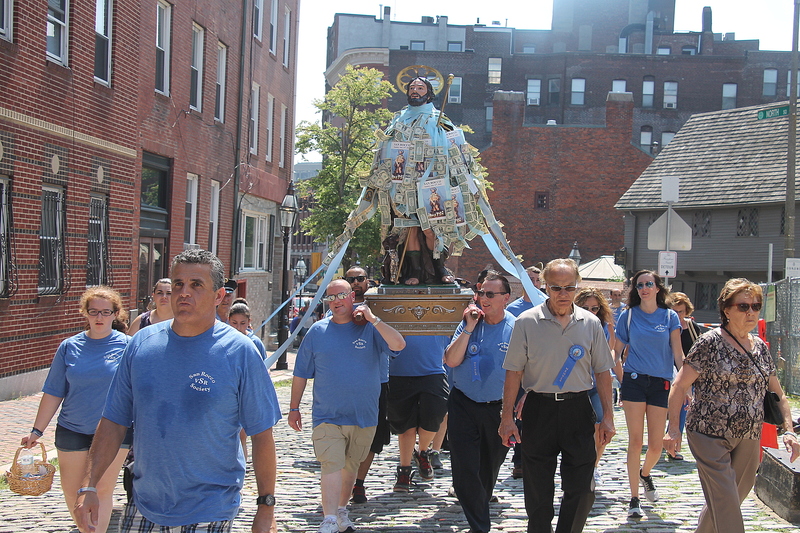 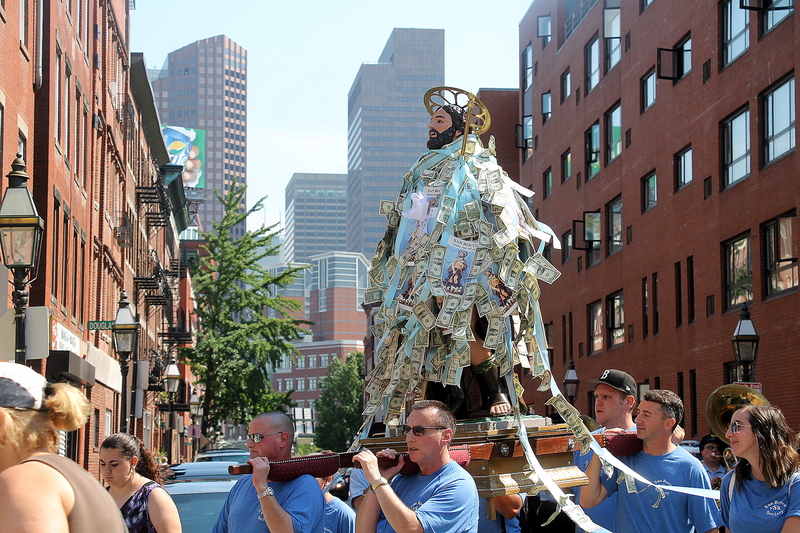 The Society of San Rocco held their annual procession on Sunday, July 15, 2018 through the streets of Boston’s North End. 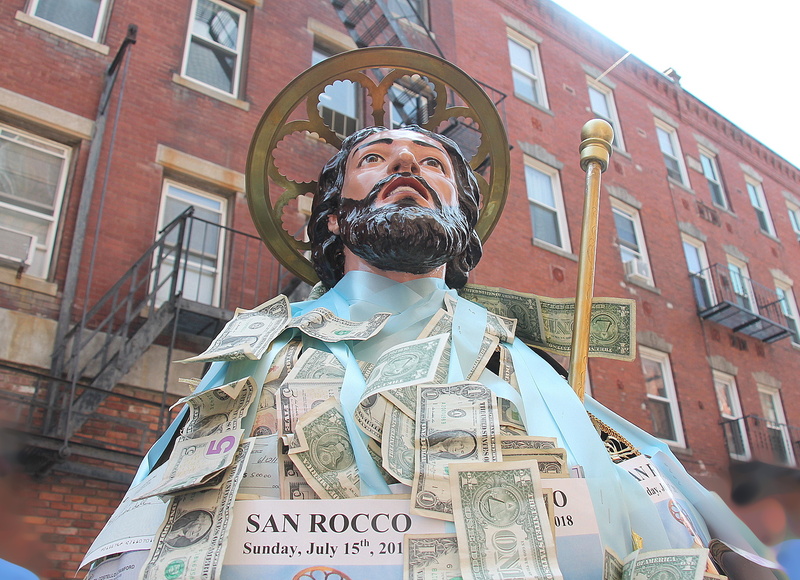 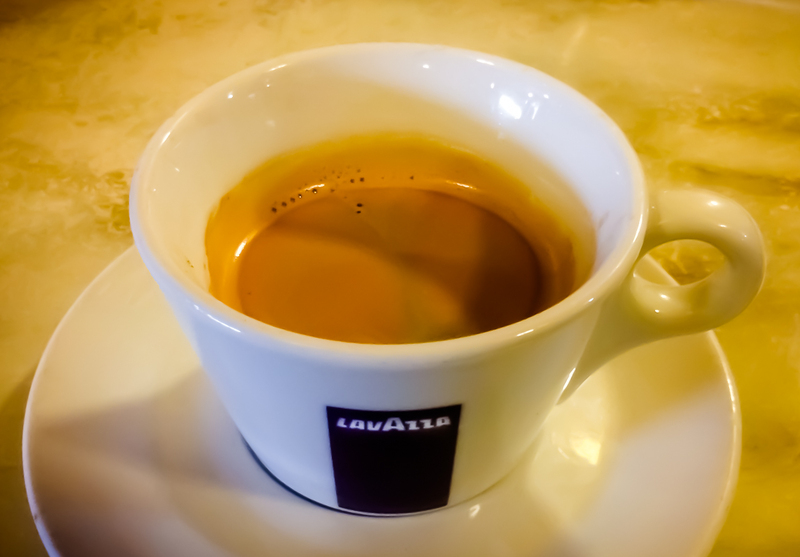 The Story of Saint Rocco – Saint Rocco was born into an aristocratic French family. 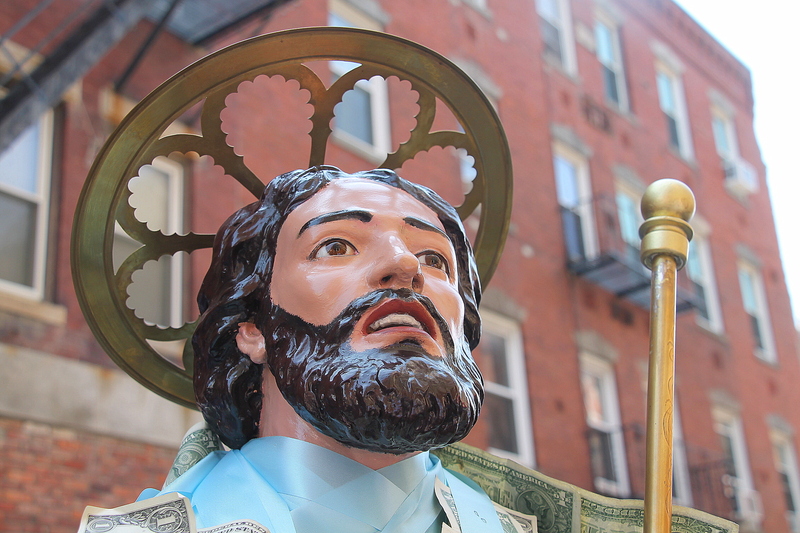 He turned away from his worldly inheritance and status, giving all of his possessions to the poor and the sick. 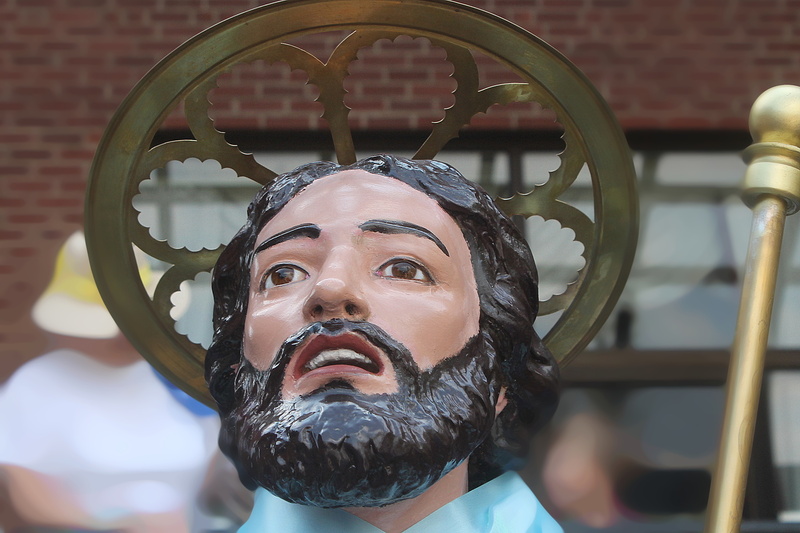 He traveled plague stricken Europe caring for the sick and ultimately, through the grace of God, miraculously curing those he encountered. 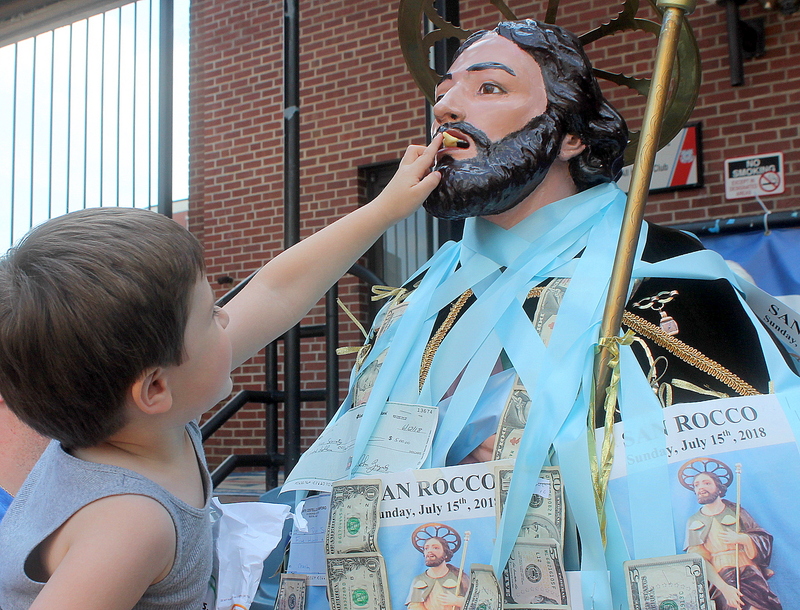 Saint Rocco escaped death from starvation and plague by eating food brought to him by a dog. 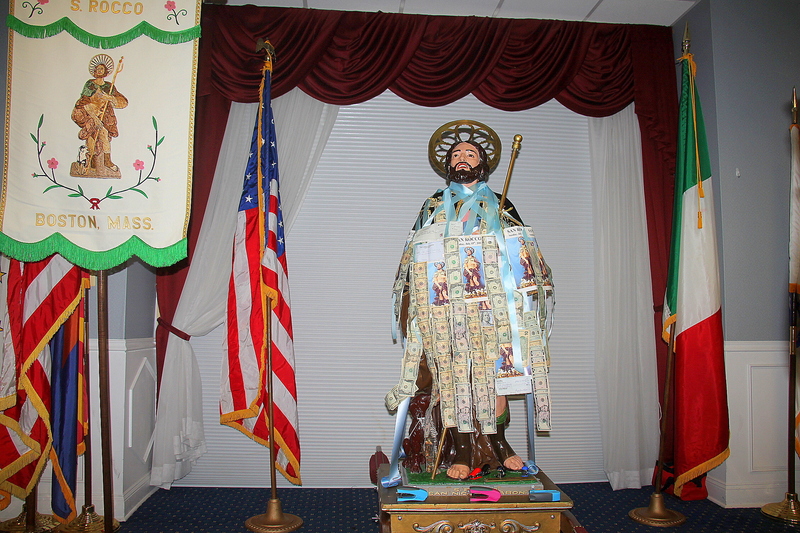 San Nicola Baronia, a small town in Italy, adopted this Holy Man as their patron saint. 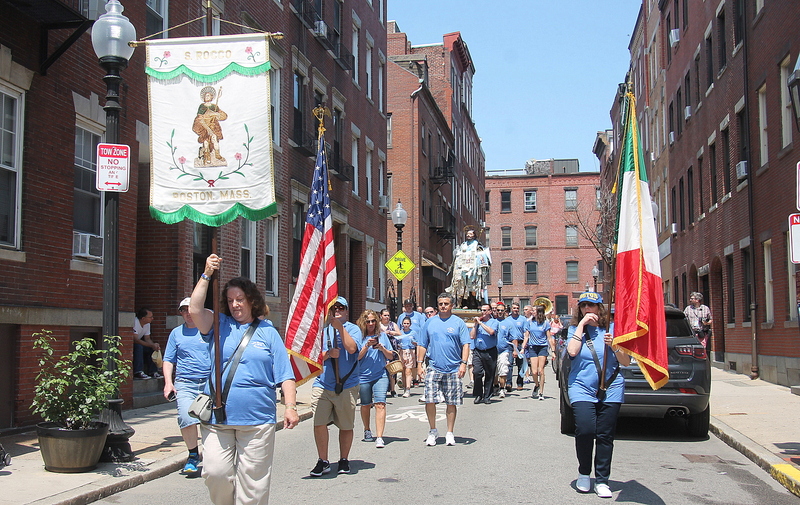 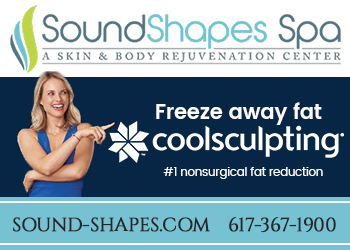 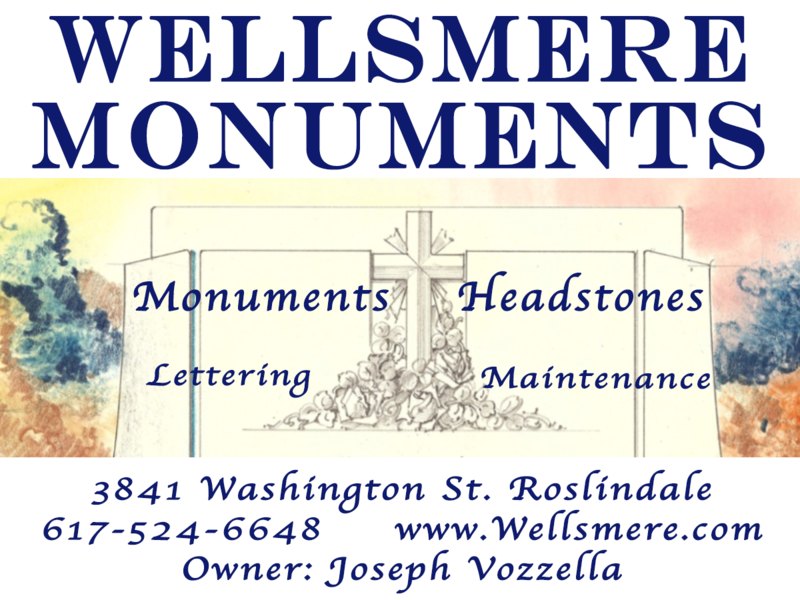 Immigrants from this town established a Society dedicated to his works in Boston in 1921. 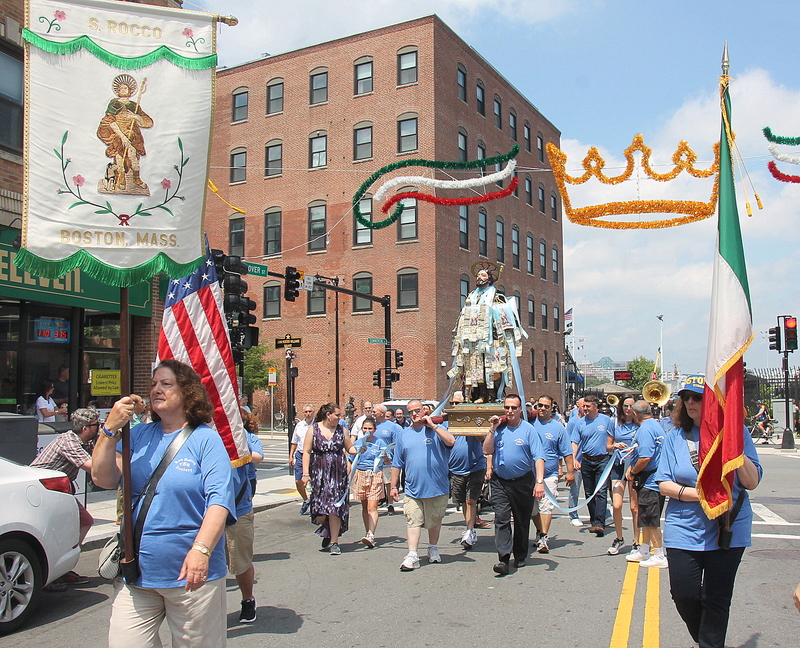 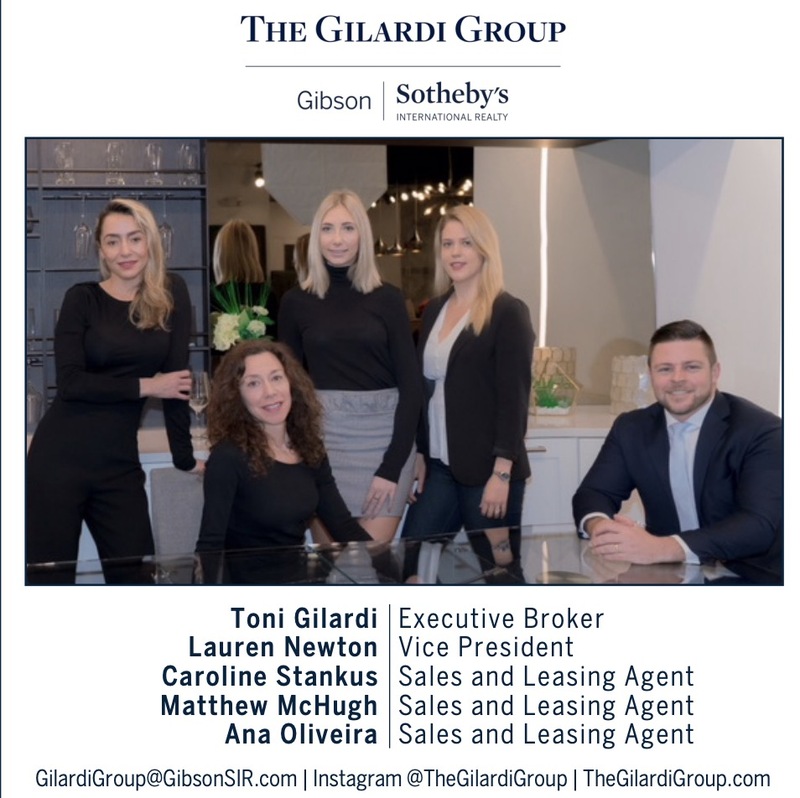 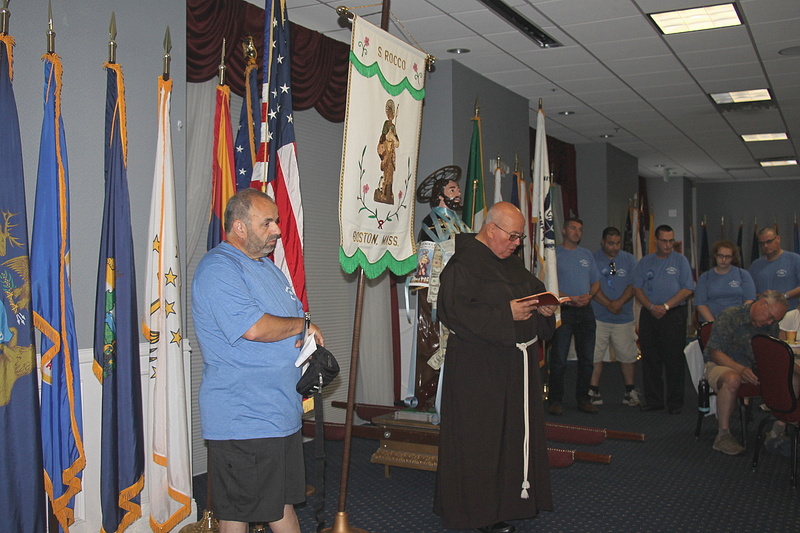 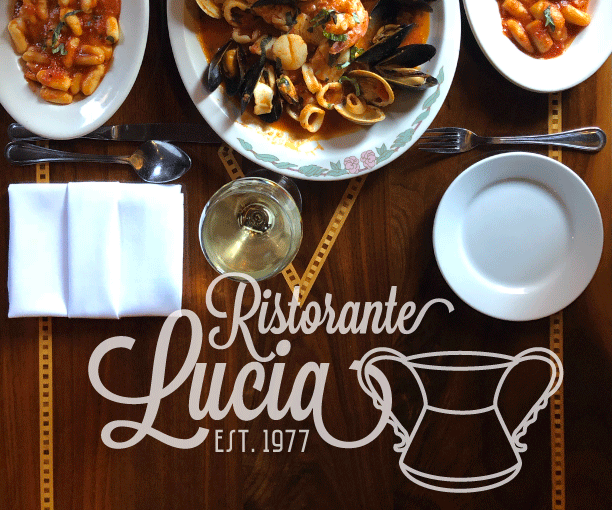 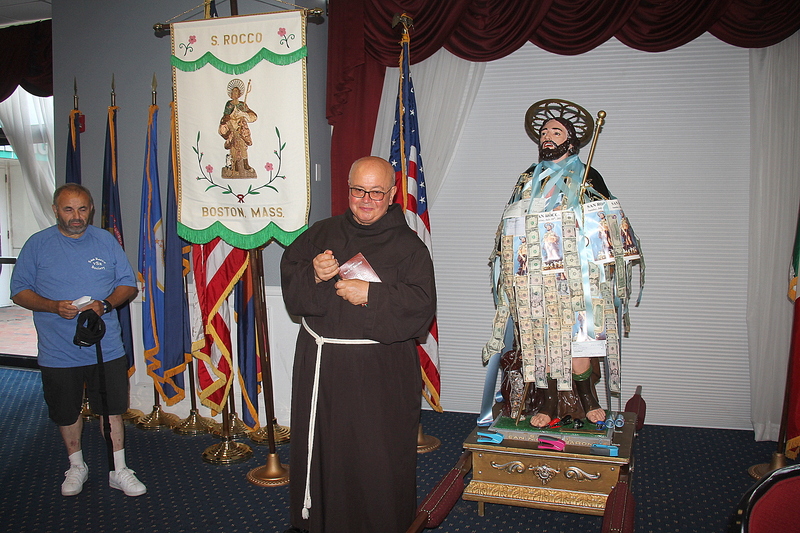 The Society of San Rocco of San Nicola Baronia annually celebrates a festival in his honor and strives throughout the year to perform charitable works. 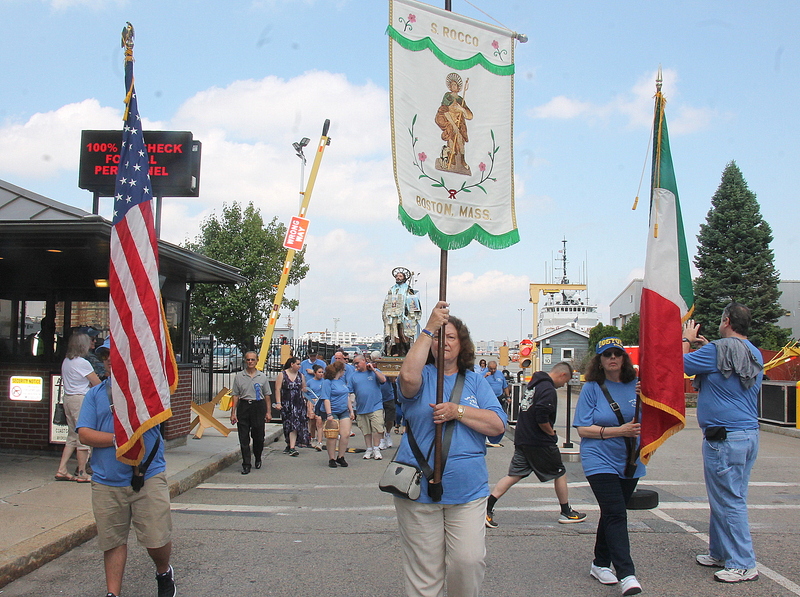 Photographer Gerri Palladino captured the procession in this photo gallery.